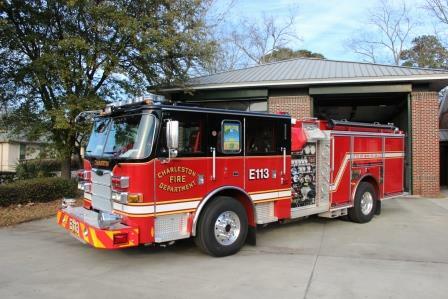 CFD Station 13 is located at 358 Folly Road on James Island. Station 13 houses Engine 113 and Battalion Chief 105. Engine 113 provides service to the neighborhoods of Riverland Terrace, Cross Creek, Marlborough and Country Club Estates.